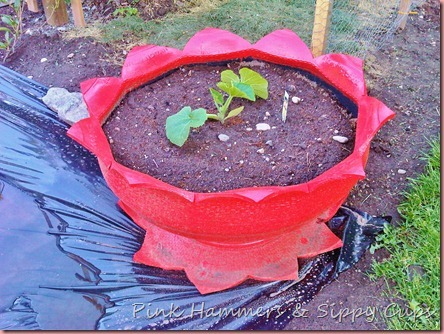 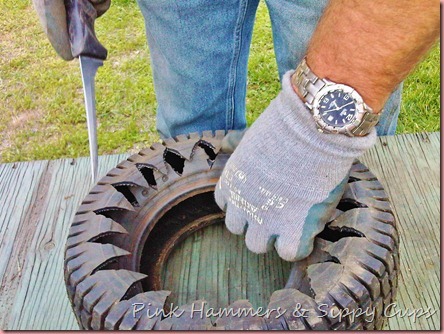 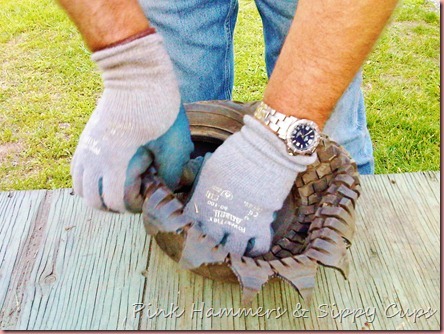 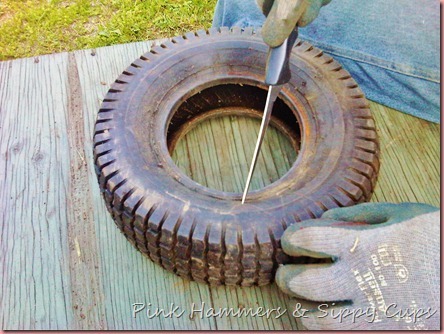 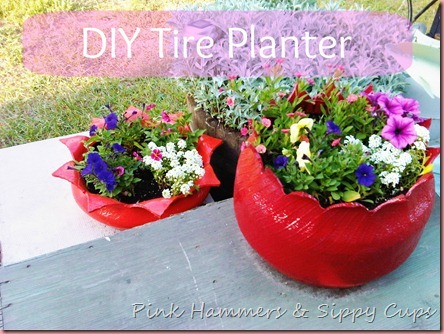 There are many other ways to make garden planters from unwanted tires. 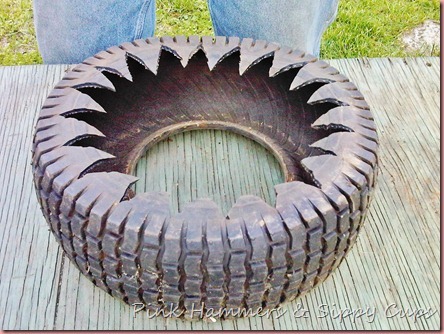 One of these is to cut the tire and turn it inside out. 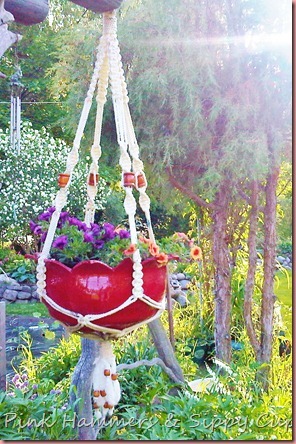 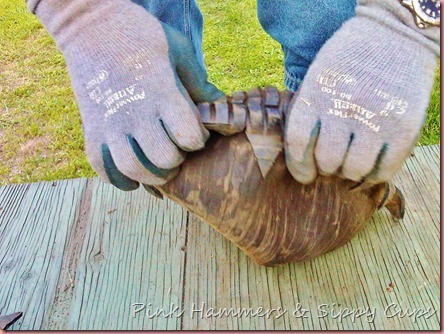 This can create a very attractive shaped planter that disguises its humble origin. 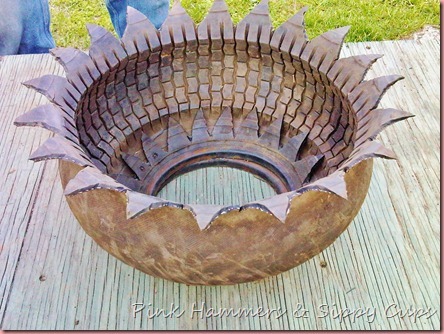 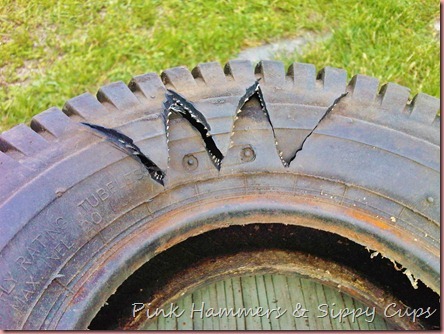 This type of tire planter can be enhanced by cutting a pattern into the cut edge of the tire.